Top of the morning to ye lads. The Maddog here with another review for you to cut your teeth on. And as usual it’s another Bill Lyons Classic and this time it’s a familiar little number I’m sure all of you have seen before. 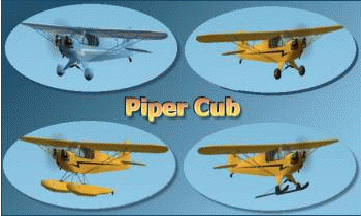 The Piper Cub Series. Now I know I know, you’re going to say oh pooh that’s nothing new. But Hey!, you haven’t seen one of them designed by Bill Lyons. Bill has an uncanny ability to take an old sow’s ear and make a new purse out of it. (to coin an old phrase) Anyway, this is a great little package Bill has comprised with his usual flare. 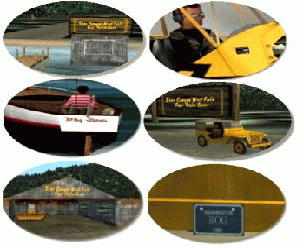 Included are four models to fit all situations, the wheel or tundra model, the ski model, the float version and just for fun he threw in an aerobatic model the “Clipped Wing”. And also, which has become his trademark they are all personalized and you can even throw a request at him when ordering, which makes it all a personal experience for the end user. And of course I’m partial to Bill’s packages because it has become Bill’s custom to add some ground vehicles and maybe something for us water rats now and then also ho ho. And of course it’s no different this time either. Bill has designed a little sailing sloop that is just beautiful and fun to sail. Not only does this sweet little number make you seasick :-), but there’s a whole fleet of boats you can sail amongist so you won’t feel lonely on the high seas. To make things interesting again, Bill has added annimation to his creation. If you press the keys F5 (down) and F8 (up) you can hoist the sail of the sloop and if you’re listening you can also hear sounds associated with the movement. And while sailing, you can see the sails shift in the wind from port to starbord as you move through the water. The sailboat has a virtual interior with a moving wheel, a compass at the aft in a metal casing. It also has a small dash with a minimum of instruments and a radio. A note here also, you may find yourself lookin aft when in the cockpit mode. The reason is that the boat is really a backward flying airplane and the flaps are used as sails. other boat, the Garwood. A little trick I learned just recently, if you turn the NUM- LOCK on and hold down the Control key, you can use the Arrow Keys to use the light like a spotlight. A very cool feature indeed. If you’ll notice after you start moving, the flag will start fluttering in the wind. Aaahhh that Bill, he thinks of everything. And of course Bill has included another jeep for a jaunt in the woods. This one is very similar to the last one except this one has a top on it which is toggled on and off with the strobe key “O”. The lights are also operated with the “L” key and has great night lighting of the exterior lights and dash instruments. 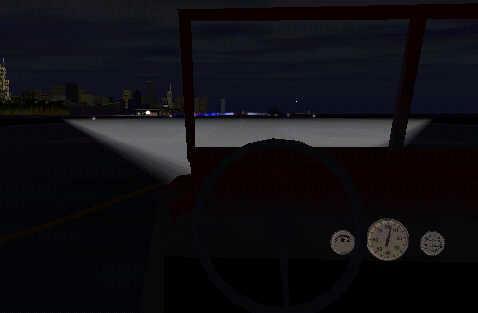 If you use the auto rudder when you drive the jeep you’ll see the wheels turn and of course the jeep as with the boat and aircraft the spoiler key “/” inserts passengers into the interior. Oh, and don’t forget the horn is operated with the F5/F8 key. If you’re sitting still you can also see exhaust from the tail pipe. Great fun!!! Wanted to mention the scenery part of Bill’s project. Bill has a way of taking and designing flights that explore some of Flight Simulator’s most interesting regions of scenery. Then adding a bit of nostalgic hangars, static objects and such seems to bring it all to life. If any of you missed it, in the Ryan Sportsman Package, Bill had designed a great little cabin in the mountains with a super interior consisting of a bed, cook stove and a great hearth that lit up the night with the flames and smoke which you could see outside from the chimney. Great stuff. sure miss out on some of the fun stuff. Jeep at the entrance to Bear Canyon West Field. image above. This will take you down a road to the hangar. Of course you can also take classic cub test flight to put you right into the cub inside the hangar ready to start up. If you’ll notice, great pains went into the creation of the hangar and static objects. The rust on the hangar, the sliding doors when approached all show the artistic talent and attention to detail. Don’t forget to check out the ski version on the glacier tour will put you into some of the most beautiful snowy mountains that you ever want to see. This package involves many more facets this time. enviornment sounds are up loud enough in FS to be able to be heard above engine noise and such. To begin to experience some of the sounds in this package go to the hangar in the jeep then drive out into the pasture, you’ll find some wildlife there. Mainly a bear. Drive up to the bear and listen to him roar as he stands up on his hind legs. Lord, what bad breath ha ha ha ha. Great fun this is. As Bill says in his intro notes, it will be hard going back without sound after this experience. Now grab the sailboat sloop and sail out into the lake area. You’ll hear some clanging as you pass the bouy on your way to the waterfalls at the far end of the lake. You can also hear the ambiance of the night with owls crickets and such. Even seagulls make your sailing experience seem “As real as it gets” hee hee. This is more fun than one should be allowed to have. seperates Bill’s models from all others is………………………..
wooden propellers to the opening windows/doors to the virtual interior. You can even see the cables connecting the various moving parts of the alerons and such inside and outside of the aircraft Another nice touch inside is the communications, avionics and start switch above the pilot. And check out the great looking panel. The relection alone will blind you not to mention the babe in the picture. move her head in all four directions. And what do you think of them snake skin boots. The VC panel and the total cockpit area sure makes you feel like you’re actually sitting in it and just smell…………that leather, jacket that is. The only thing missing that I can tell is the oily smell but give Bill enough time and he’ll find a way to incorporate that into it next time. porate that into it next time. 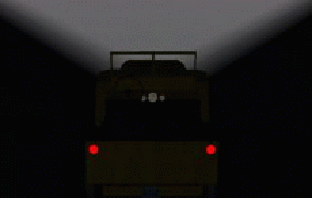 The 2D panel lights up at night as does the VC panel so you you can find that thermos jug and log book when you need it. The float version of the aircraft is very much fun to fly and is a rare version even though their are a lot of bush planes that has been designed by this time. It is fun to fly but my favorite I believe is the Clipped Wing aerobatic. It is a beautiful creation with it’s reflective paint scheme and if you haven’t flown one of Bill’s planes before, you are in for a real treat. Along with his other talents, he is probably one of the most talented aircraft FDE engineers. And this little blue airshow version is a true testiment to that fact. Blue angels………..eat your heart out heh heh. There is a flawless installation and first class service. You can also visit Bill on the site’s FORUM for great support and any questions you might ask. He and his pals at Golden Eagles give up to the minute answers with a smile. Merryweather Marquis Series, Fire Engine. No 9. Lesney, England. fair condition. Original 1802 early Ohio River Bill of Lading - Limestone, Ky.